You worked hard and decorated your home or office for just the right impact. Everything looked great. And then you kind of went on autopilot. Admit it. You don't always pay attention to your décor. Still, one day you noticed that there were spots and dirty streaks on the carpet. The sofa didn't look so new anymore. When did that happen? Why didn't you notice sooner? Dirt accumulates really gradually. The important thing is to address it, before it causes damage to your carpets, rugs, and upholstery. You have better things to do in your free time than sweating over a rented carpet cleaning machine or scrubbing away at the grouting on the floor. When you live in the Boston area, all you have to do is call UCM Cleaning Services and you get to enjoy your free time and a sparkling clean home. We offer high quality services for residential, commercial and industrial locations, with the convenience of multiple locations in Boston and the surrounding suburbs. Our popular services include carpet cleaning, rug cleaning, upholstery cleaning, tile and grout cleaning, hardwood floor refinishing, air duct cleaning, and water damage restoration emergency services. UCM Cleaning Services is licensed, insured and bonded for all of our cleaning services, so set your mind at ease when our team comes to your home or office. Our technicians are cleaning experts, using our professional grade equipment proficiently to give you superior stain removal and the very best results. Our city's traffic can make it hard to get around, but UCM Cleaning Services is locally-based so we will arrive on time and ready to work. We are available seven days a week for your scheduling convenience. Call 617-532-1918 for your free, no obligation estimate. If you have special concerns that you would like us to be aware of, be sure to mention them when you call. Leading carpet manufacturers have recognized carpet steam cleaning as the safest, most effective carpet cleaning method for their carpets. In fact, they have made regular steam cleaning (also called hot water extraction) a requirement in their carpet warranties! When it comes to steam cleaning, nothing does it better than our truck mounted extractors. We also use professional grade portable carpet cleaning machines for hard-to-reach locations or office buildings where using the truck mount would be impractical. The factor that influences the success of carpet cleaning the most is actually the level of experience of the technician operating the cleaning equipment. All of our technicians are trained to operate truck mounts safely and effectively, for clean carpet without the over-wetting that can lead to long drying times and even mold and mildew growth. Carpet cleaning can be dangerously dirty, using harsh chemicals that you wouldn't want out in the environment, let alone in your house. Luckily, there are better choices. UCM Cleaning Services uses green cleaning shampoos and cleaning solutions that are safe and eco-friendly. Even so, we use them in dilution, so we leave your carpet clean and free of detergent residue, safe for everyone in your family, even your pets. When you call UCM Cleaning Services, you can rest assured that the cleaning experience will be exceptional. That's because we back up our work with our 100% satisfaction guarantee. We know we're measured not just by the carpets we clean but also by the way we interact with our customers. We contact our customers the next day, just to make sure that they are completely satisfied. To find out more about what UCM Cleaning Services can do for you, please call our office. Check out our coupons for special deals and discounts. 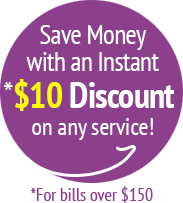 There is no need to print - just mention the coupon when scheduling your cleaning appointment. Cleaning Carpets in New York , NY just got easier and cheaper. UCM Cleaning Services technicians at New York are recommended by our service and have the right gear to make your home sparkle. If you do need a cleaning service in NYC click here - that's the right address for you. If you need an expert upholstery cleaning service in Boston the solution is contacting UCM Upholstery Cleaning (Boston). This service can handle any furniture, leather, mattress cleaning requirement you might have. We highly recommend them.